Is Procter & Gamble getting better with big ideas? Procter &amp; Gamble Co. launched the Opte Precision Skincare System at the Consumer Electronics Show in Las Vegas Jan. 6. As a Procter & Gamble Co. vice president and general manager of P&G Ventures, Radford said it’s part of her job to clear obstacles that delay new product development. 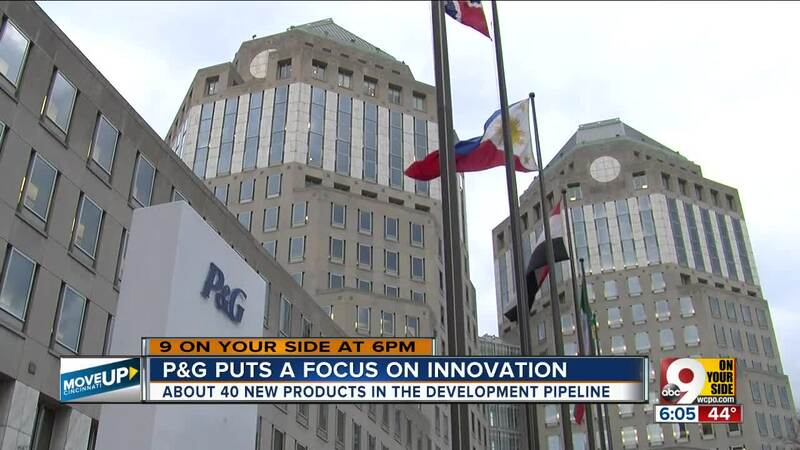 It’s one of the many ways P&G has changed its approach to innovation in recent years. And Radford is convinced it’s working. P&G Ventures has about 40 new product ideas in various stages of development, including four that are now being sold online in direct-to-consumer trials. Beyond P&G Ventures, the company has used licensing deals to generate new revenue from manufacturing innovations. It even used Indiegogo launches to test new-product ideas like Airia , a high-tech air freshener announced at the Consumer Electronics Show in Las Vegas. Now a P&G board member, Peltz declined to comment for this story. P&G said its innovation improvements began months before Peltz began his proxy fight against the company. “They’ve grown from the strategy (CEO) David Taylor initiated that has a strong focus on noticeable superiority” in P&G products, spokesman Damon Jones said. That strategy was first described publicly in an April, 2017 analyst meeting. Regardless of its origin, investors are starting to take note of P&G’s increasing ingenuity, said Joe Edelstein, a research analyst at Johnson Investment Counsel in Monfort Heights. Edelstein thinks P&G has some game-changing ideas in the works, based on analyst presentations he’s seen in the last several months. One of those ideas is PureCycle Technologies, a plastic recycling company built around a patented process that P&G licensed to the Chicago company in 2015. PureCycle is building a plant near Toledo that will remove color, odor and other contaminants from polypropylene plastic. It’s used in consumer packaging, car interiors and furniture but it’s the hardest plastic to recycle. When the Toledo plant opens in 2021, it will be able to recycle 119 million pounds annually. “This technology has the capacity to revolutionize the plastics recycling industry,” said Kathy Fish, P&G’s chief research, development and innovation officer, in a March 13 press release on the venture. P&G is also partnering with PureCycle’s parent company Innventure to “commercialize and monetize” its Aeroflexx packaging technology, Chief Financial Officer Jon Moeller told Wall Street analysts in February. Another powerful new idea is DS3, a new line of “liquid-free” cleaning products for the body and home. P&G spent 10 years developing its the “next generation” line of soap, shampoo, laundry, kitchen and toilet cleaning products. Last fall, it raised $18,000 in an Indiegogo launch that sold DS3 cleaning kits to more than 240 customers. On March 4, P&G launched a waterless line of hair care products in South Africa, including shampoo, dry conditioners and alcohol free hair refreshers. The new WATERL>SS line differs from DS3 in that it doesn’t require any water to activate the cleaning ingredients. “DS3 could be very interesting,” Edelstein said. “It targets a lot of interest that consumers have around products that are good for the environment. This is a product that uses 75 percent fewer emissions to actually ship” to consumers. P&G Ventures has its own roster of big ideas that are functioning more like external startups in the sixth-floor business incubator that P&G established about three years ago. Radford said it’s no accident that the entrepreneurial space is just down the hall from P&G’s C-Suite, where Taylor and Moeller’s offices are located. They’re a long way from becoming billion-dollar brands. But the newest offerings from P&G Ventures all represent market opportunities where P&G doesn’t already compete. That includes beauty devices, a category that’s expected to reach $106 billion by 2024 with a compound annual growth rate of 19.1 percent. P&G’s potential weapon of choice in this category is Opte’, a hand-held device that uses a high-definition camera and inkjet printing technology to hide age spots and other skin imperfections. P&G is selling Opte’ online for $899 upfront and $199 for serum refills every two months. It also offers a 24-month subscription that includes all refills for a monthly fee of $119. “It’s a pretty cool product that could garner some pretty interesting growth over time,” Edelstein said. Other new ideas at P&G Ventures include Metaderml, a skin cream and body wash that uses botanical extracts to control itching, redness and scaling. Pepper & Wits is a new line of lotions and dietary supplements that are designed to help users control symptoms of menopause. But Radford said it’s more than just new products that P&G Ventures can show for its three years of effort. It’s an evolution of the company’s approach to innovation that’s more externally focused and more agile. That’s why P&G recently announced a joint venture with M13, a Los Angeles-based “build studio” that partners with venture capital firms to accelerate the growth of startups. P&G will use the partnership to fuel new growth for its P&G Ventures pipeline, but it hasn’t decided which new products will be the first to participate in the California incubator.